The ultimate iOS developer newsletter with a French touch. 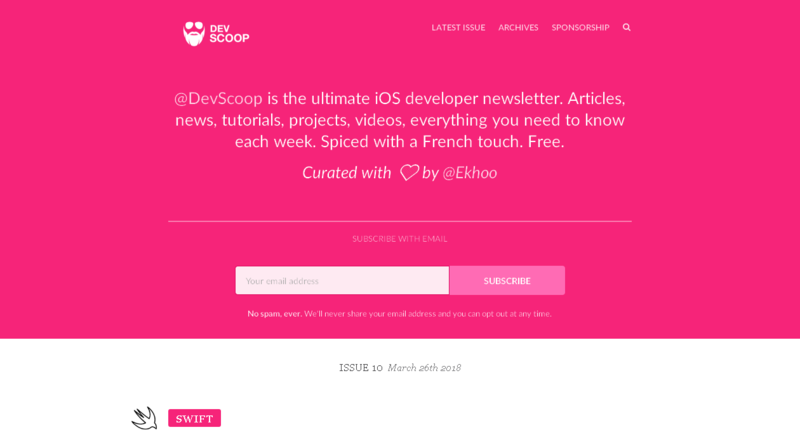 DevScoop is the ultimate iOS developer newsletter. Articles, news, tutorials, projects, videos, everything you need to know each week. Spiced with a French touch. Free.